Budget Car Hire | Driving abroad, do you know the rules? If you are planning to hire a car for your holidays abraod you should be aware of the local rules and try to comply with it so your vacation abroad can be the most pleasant possible. Whether hiring a car in another country or taking our own car abroad, we are subject to various rules on the roads that change every time we cross a border. Abiding by these rules is made even more difficult by continuous amendments to road legislations across the world. A recent survey from the Foreign and Commonwealth Office (FCO) found that only half of those planning to drive abroad carry out research online before driving in Europe, while 64% saying they didn’t feel it was necessary to explore the local road laws for their next trip abroad. • Spain – As in France, drivers in Spain can no longer use devices that detect speed cameras, such as sat navs. The speed camera detection function on a sat nav or GPS system must be deactivated. • Spain - New speed limits which came into effect in June saw the speed limit on motorways rise from 120Km/h to 130Km/h. • Portugal – Another recent amendment to Portugal’s road laws states that all drivers are expected to have their EU passport on them if they are pulled over. Portugal undertook a major overhaul of its road traffic laws during 2014 with over 60 amendments to pre-existing laws. 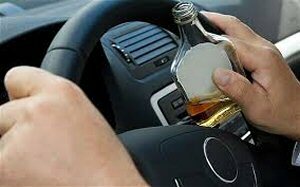 Drivers in Portugal involved in an accident now face compulsory drug screening on top of automatic testing for blood/alcohol level. • Ireland - From August 1st 2014, new drivers will have to display an 'N' badge or plate, for novice, on their vehicles for two years. Those hiring a car in Ireland who have held their license for less than two years should also use the plate as a precaution. • Scotland - UK road traffic laws generally apply to the whole of the UK but a significant change is in prospect in Scotland with the devolved Scottish government set to reduce the current drink drive limit of 80mg alcohol per 100 ml of blood to 50mg per 100ml.Some drivers crossing the (invisible) border from England into Scotland could thus find themselves complying with road traffic laws as they apply in England yet potentially facing a driving ban of a minimum of one year in Scotland if they happen to have a blood/alcohol level falling between the different limits set in the different parts of the UK. • U.S. – Both New Mexico and South Dakota are the latest U.S states to ban texting while driving after implementing the law on July 1st. There are now 41 U.S states with a ban on texting behind the wheel. • UK – Up to now in England and Wales, phones were seized by police officers in collisions that resulted in serious injuries or fatalities, to discover if the phone was used or was a contributing factor. Now UK police officers have been told to crackdown on the use of mobile phones behind the wheel by seizing devices in minor collisions also. Looking for Economy Car Rental for your holidays in Europe? Check http://www.travelholidaycars.com for fair prices on quality car hire.